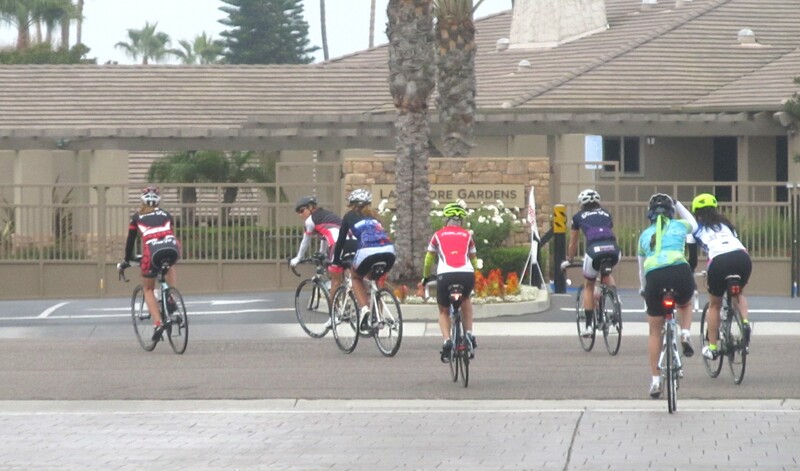 Eleven fun gals gathered in the parking lot at the Ralph’s on Avenida Encinas in Carlsbad last Saturday for our weekly ride. 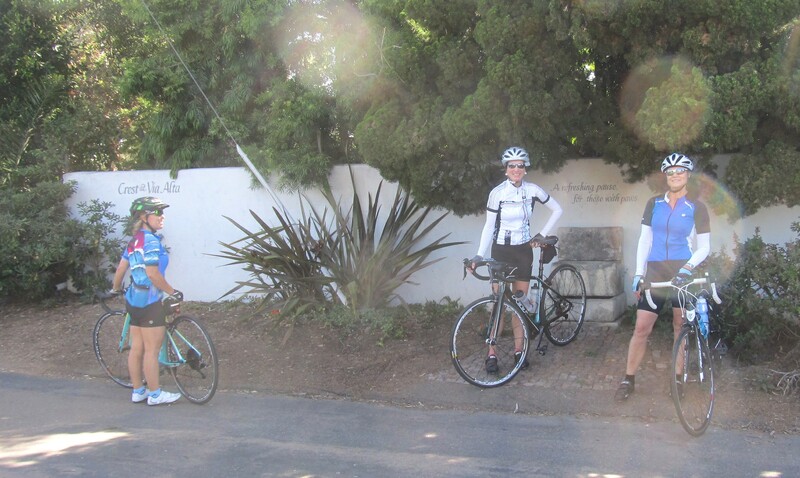 Julie D and Heather K shepherded the B group of seven through a slightly modified route partly inland into Rancho Santa Fe before looping back to the coast via Carmel Valley. 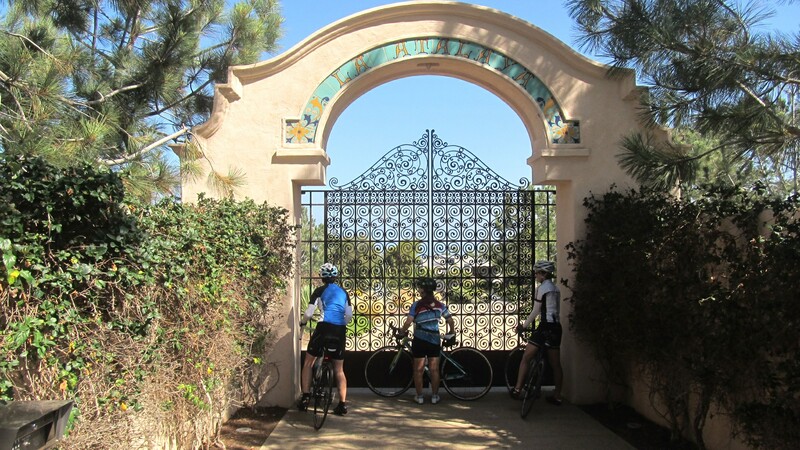 With yours truly (Michell) was a C group of four for a shorter ride down to investigate the many gorgeous custom houses and hidden treasures of Del Mar and Del Mar Heights. 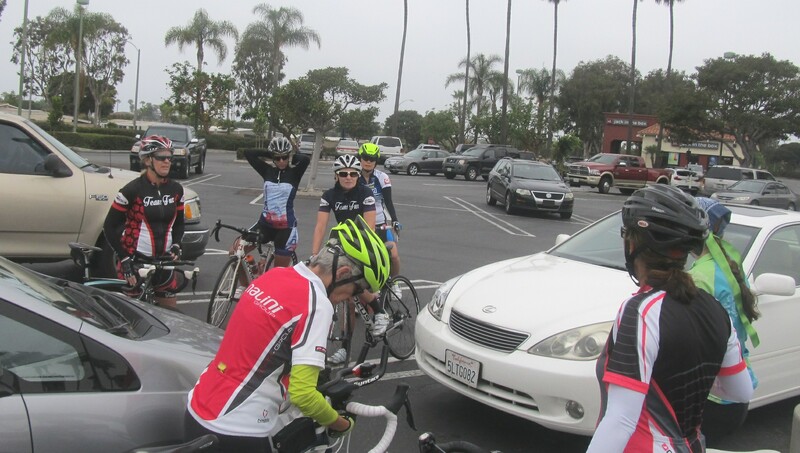 I’m afraid Heather K or Julie D will have to tell you about how B ride went, but we sure had a smashing time on C ride. The gloomy marine layer was just starting to burn off as we rolled down the coast, and by the time we descended into Cardiff the sky was bright blue and the air clear and cool. 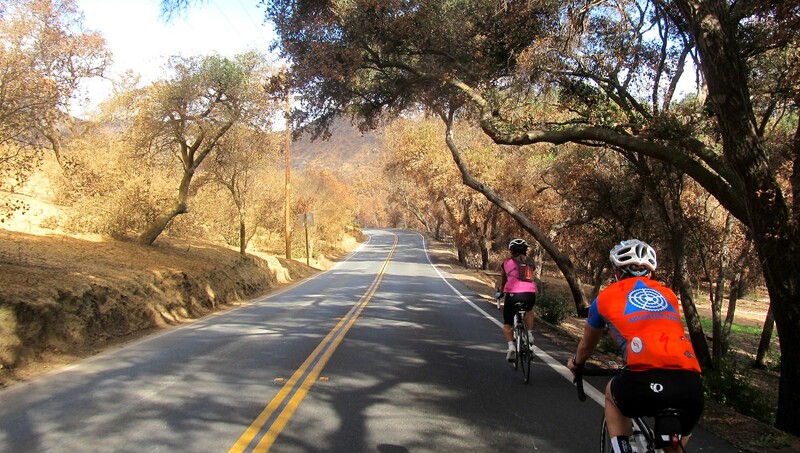 A perfect cycling weather! B group taking off for their inland adventure. 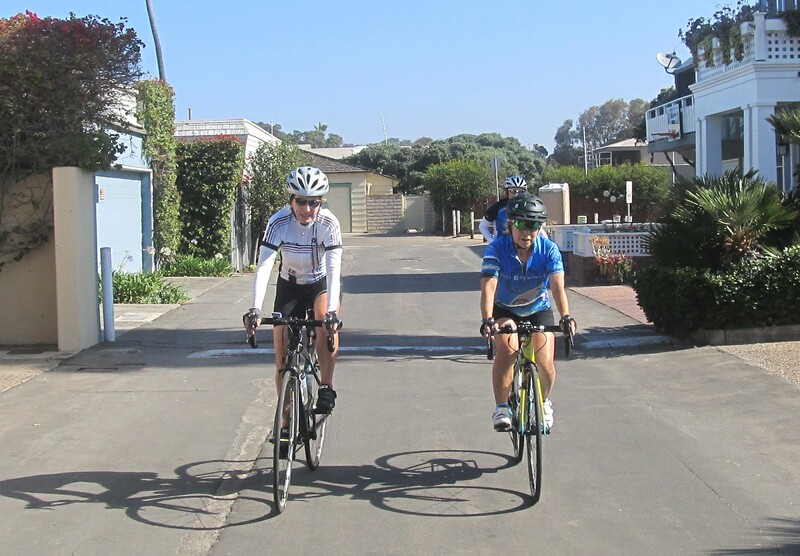 Julie B and Miki talking houses as we pass the magnificent beach houses of Del Mar. A peek up the road to the old Powerhouse. Having Michell in the lead, of course, means turning off the beaten paths at unusual places. Instead of veering off the Coast Hwy at Coast Blvd we took an early beachy turn onto 29th St instead and continue south along very low traffic custom houses-lined Ocean Front Ln at a deliberate sight-seeing pace until we took the secret passage back to the main road just a stone throw away from the Del Mar Powerhouse, where the road pitches up for a little climb to Sea Grove Park. Julie B helped us navigate through the little zigzags as we followed the coast south. Miki had just upgraded to a proper road bike with clipless pedals, but you wouldn’t know it from the way she handle her new steed! Debbie was hanging easy in the back and taking it all in. 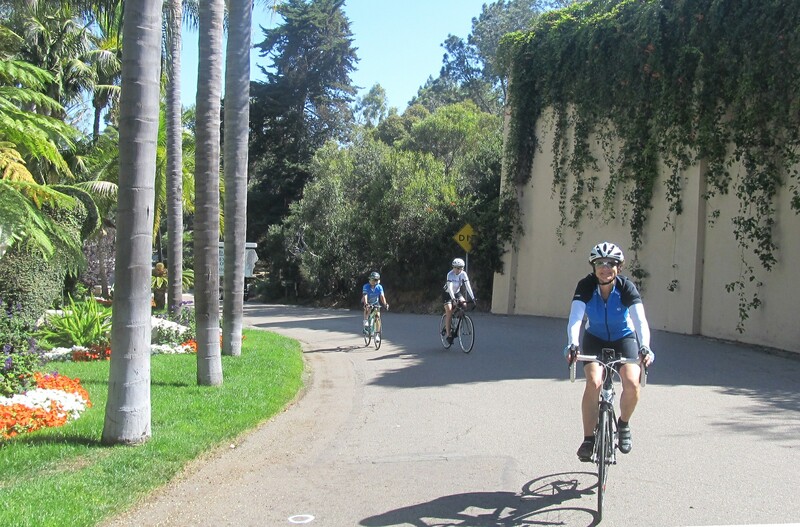 All was lovely and fun… of course, until Michell did her thing again and turned the group uphill on 9th St.
C gang smiling our way up 9th St from Camino Del Mar. The secret fountain in Del Mar Heights. I could almost swear that I didn’t remember 9th St and Hoska Dr being that steep for actually a bit more than two city blocks, but the gals were nothing if not hardy troupers (probably due in no small part to having survived encounters with spin instructors before) and made it all the way up to Crest Dr after some paperboying on the steepest pitch. 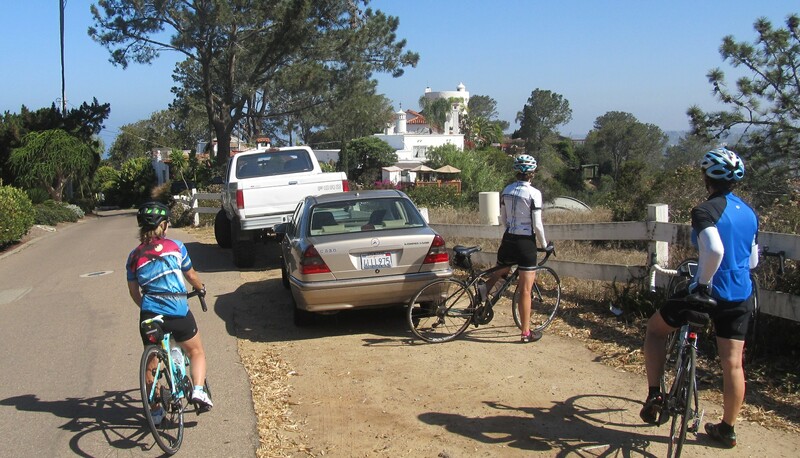 Luckily for me, the view along Del Mar Heights’ Crest Dr is quite a powerful analgesic. The wonderful unique custom houses with friendly benches out on the heavily traffic-calmed lane and glimpses of the lagoon beyond the hill crest. Even the local drivers were very friendly. One even rolled down her window to cheer and applaud when we stopped en masse at a stop sign. C gals were sort of hoping that Tony Robbins would appear on the turret to talk them out of ever riding with Michell ever again. Of course, the main attraction for the climb up into Del Mar Heights were Tony Robbin’s castle house and the (in)famous Snake Wall. 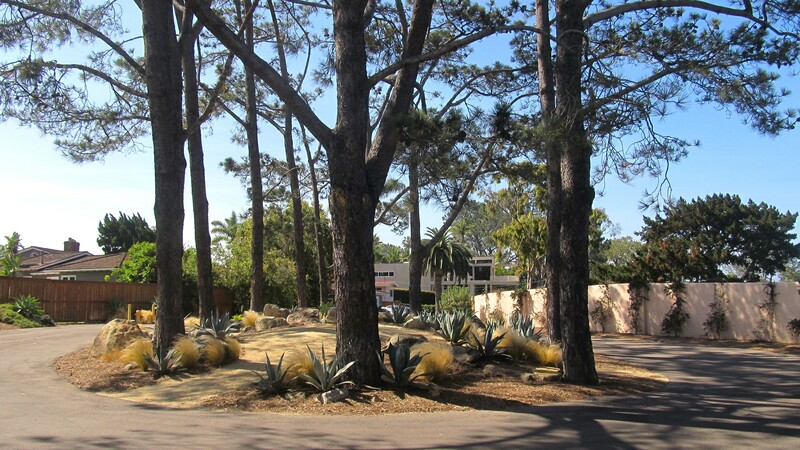 The former is an ideal regrouping/photo-op spot along Crest Dr, and the latter was supposedly erected to keep snakes out of the 20 acres property and soothe the original owner’s daughter’s fear of serpents. I’m not sure how that’s supposed to work since I’ve seen snakes scale stuff taller and more slippery than the concrete Snake Wall, but it sure kept us gawking through the iron gate quite outside of the forbidden territory. After having our fill of the real estate eye-candies we snaked our way down Serpentine Dr and back on the Coast Hwy north for home. 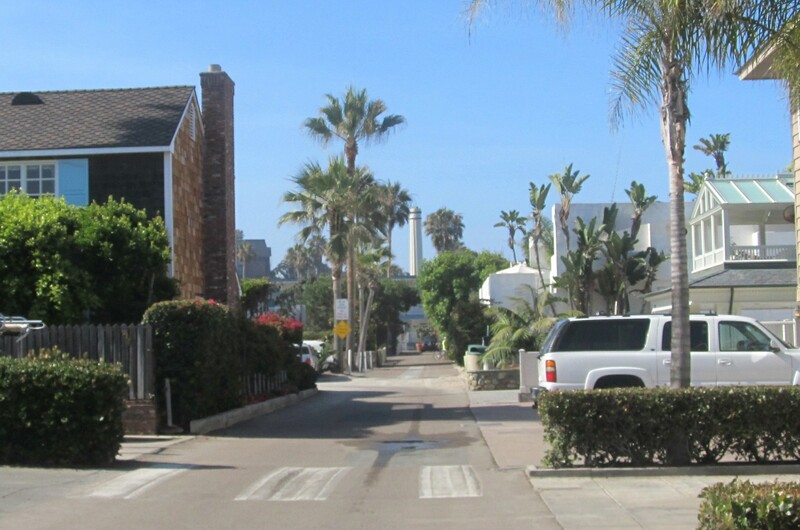 Coming down the twisty fun that is Serpentine Dr in Del Mar. It was quite a load of fun and we even got done well before the sun started to flex its muscle! 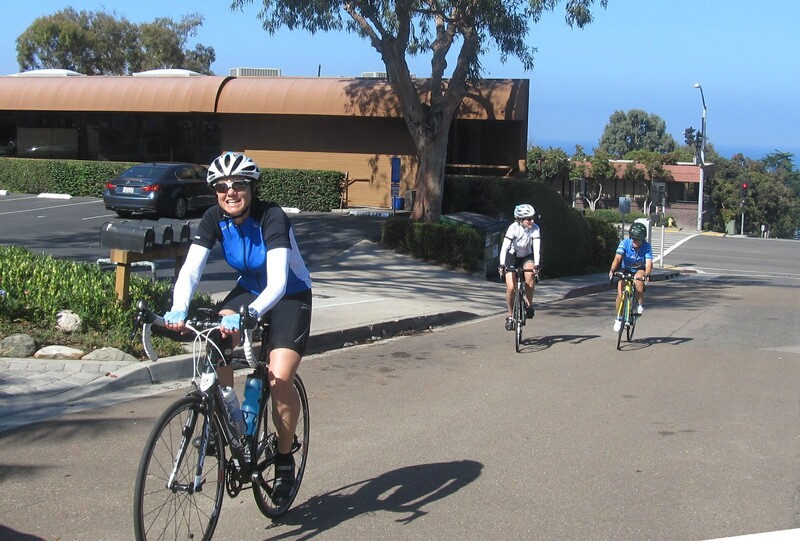 Next Saturday June 27th we are meeting at the Wells Fargo parking lot in La Costa Town Square for a scenic inland loop ride through Elfin Forest and Rancho Santa Fe. Come out and join in the fun!